I was playing around with this picture one day, I added a vignette, I did my noise reduction, and then I duplicated it, and set the blend mode to soft light. I would normally do that anyway before I High Pass sharpened it, but then I fell in love with the results of soft light. So naturally I did it again, and thus came the birth of the Extreme Soft Light Technique. This is the perfect example of what HDR can do to a normal everyday picture. 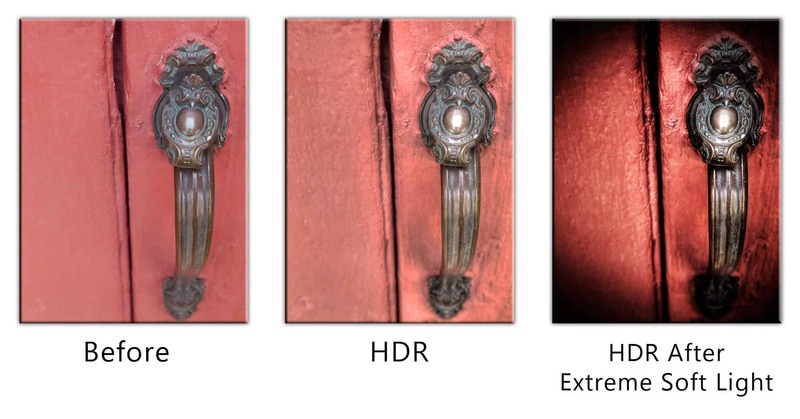 It also stresses the importance of post processing of your HDR images. Just as a RAW file is a negative so are your tonemapped HDR images. Check out the Before, HDR, and After Extreme Soft Light below. If it interests you, you can move on to the tutorial!